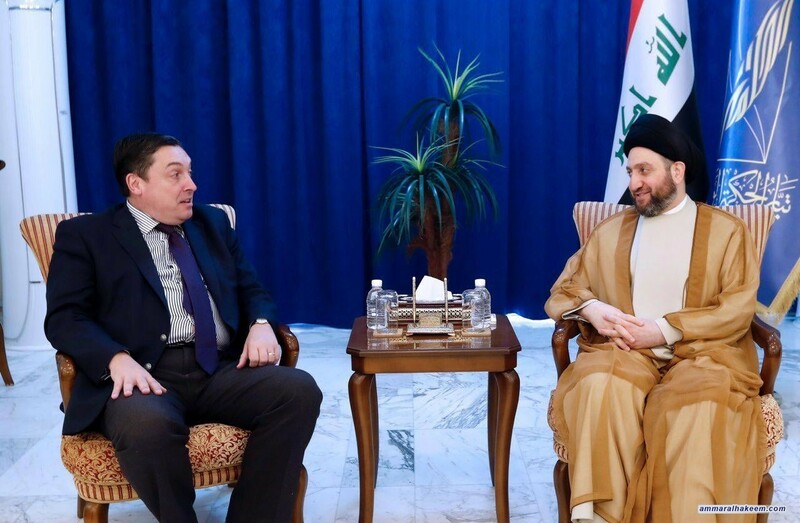 His eminence with Wilkes discussed latest political situation in Iraq and the bilateral relations between Iraq and the United Kingdom. His eminence stressed the importance of completing the government cabinet so the government would be capable of implementing its program according to the approved deadlines in order to provide services and achieve the aspirations of the Iraqi people, indicated the importance of starting with priorities in the next phase, providing jobs and fighting corruption. His eminence stressed on Iraq's exclusion from the international policy of axis, pointed out that Iraq's relations are based on common interests and to become a bridge for the convergence of views among protagonists in the region, reiterated adopting dialogue as the only solution to all problems, and emphasized rejection of the policy of starving peoples.